Jamie Leggett, CEO and principal agent of Leggett Insurance Agency, is announcing a charity drive in the Farmington Valley to offer support to children who are battling cancer. Funds raised during this charity campaign will be used to fund programs provided by the Mill Foundation For Kids. 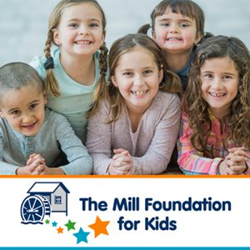 “The Mill Foundation hopes to give kids and their families the tools and willpower to tackle their challenges, and our agency wants to help their ongoing efforts by raising awareness and funds for their life-saving mission,” says Leggett. Efforts to involve the Farmington Valley community in the charity drive will include a donation-by-referral program. For each person referred into Leggett Insurance Agency to receive a no cost insurance quote, the firm will issue a $10 donation toward funding programs for children with cancer. Additional details on how to help raise awareness for the charity campaign are available here: http://leggettinsurance.com/rewards/. As a Personal Insurance Representative in Farmington, agency owner Jamie Leggett knows many local families. His knowledge and understanding of the people in his community ensures that clients of Leggett Insurance Agency are provided with an outstanding level of service. Jamie and his team look forward to helping families protect the things that are most important – family, home, car and more. Leggett Insurance also offers clients a preparation strategy for achieving their financial goals. To contact an expert at Leggett Insurance Agency, visit http://leggettinsurance.com/ or call (860) 248-4200.